It’s plain and simple—employee censorship on social channels is a disaster for brands. We can no longer control the message folks. The social framework is “bigger and stronger” than our puny frameworks. Instead of fighting it every step of the way, USE it to your advantage, or you’ll pay a steep price in diminished return. Your employees are the best way to humanize and personalize your brand... and truly the best way to scale relevant, contextual content creation. #ROE... Return on Employees. Engaging Employees to Create Scale, Engagement and Localization. Could there possibly be a better influencer to promote your business than your employees? There is simply no one that knows your business, you customers, and most importantly your local market better than the people working in your stores. They are hands down the most valuable influencer for your business. So, why don't you integrate them into your marketing mix? After all, they have the opportunity to build relationships with your shoppers every day... so give them the tools to help expand your corporate level marketing with consistency and localized authenticity. There are obvious challenges to #BYOD (bring your own device) but it increasingly seems to be the way business will operate in the future. Would a 123% increase in sales be interesting to you? A MicroStrategy study estimated that ' engaged and educated' employees can drive outsized impacts on store sales with communication efficiency as the key. Some of its key findings included the sales impact stat above, along with insights into store level communication efficiency and alignment that can be immediately improved via BYOD implementation. Retailers are navigating the landscape with a reported 50% employing some type of policy regarding employee personal device usage by the end of 2018. This approach is not without trepidation of course, along with security and compensation concerns, addressing usage policies, standards and controlling brand communications all come into question. However, the reality is pretty clear, people are using their own devices anyway (of course they are... my business partner Ted Rubin, has been making this point for years), Currently 80% of BYOD usage is unregulated according to a study by workplace portal provider Sapho. Why not embrace and empower them with tools that benefit both vs. stifling their behavior? Marketing is one of the largely untapped BYOD areas with huge upside potential. Filling in a gap between brand content, paid, social media and CRM, employee media is a highly effective means of connecting with shoppers closest to the point of purchase... both online and in-store. Employee Created Content (ECC) can have a dramatic effect of the scale, engagement and relevancy of digital media, especially at the local level. ECC can conservatively provide an immediate 2X-4X increase in a brands TOTAL content universe coupled with substantially raising engagement rates. Employee content created with Photofyhas an engagement rate of 6-8% on average compared to a brand average of less than 1% AND average influencer rates of 1.7% to 8%, generally based on audience size. Employees are simply the most effective influencers for a company. Perhaps the most compelling reason for ECC is that younger generations are already accomplished content creators and community builders and prefer their own devices. 61% of GenY believe they are more productive on their own tech according to a Dell Study. The internal and external expectations from shoppers are changing to value more authentic, less formal, forms of communication with an emphasis on relevancy. 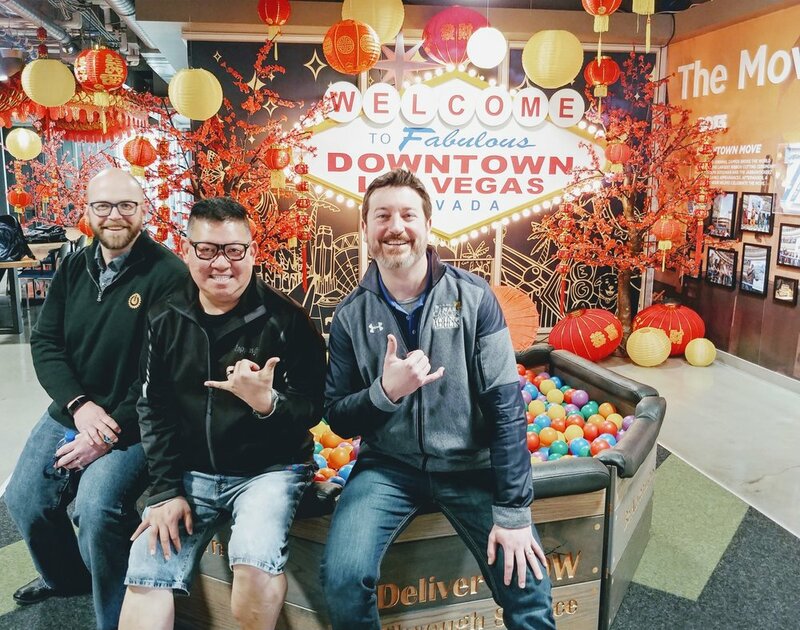 Finally, as digital platform algorithms increase the importance of localized content in search, employee created content can help retailers own their connection and engagement at the local level... vs. ceding it to intermediaries such as Yelp. '_________ near me' is a "jump ball" that must be won to drive local store success. Return on Employees... no one knows your shoppers better than your employees, give them the tools to be successful. In the late 80s, Coca-Cola unveiled a new slogan, “Can’t Beat the Feeling,” and rolled it out to consumers via a series of ad campaigns, created by McCann-Erickson. The slogan was integrated across the spectrum of Coke’s advertising and visual branding. The best—and most legendary example belonging to a song McCann produced of the same name. As a kid growing up in the 80s and 90s, it was more than just a song—it was an anthem. It blended itself in with pop culture and became part of the soundtrack of our childhood. It’s an upbeat tune that captures the sounds of the 80s perfectly, and feels like an opening theme song for a show about to come on TGIF. “Break me off a piece of that Kit-Kat bar” is a jingle—this was a ballad in comparison. Side note: If I were tasked with creating an album of brand soundtracks, “Can’t Beat the Feeling” would fit right in-between Oldsmobile’s “Special Feel” and McDonald’s “Menu Song”. The bonus track would be George Gershwin’s classic “Rhapsody in Blue,” tailored for United Airlines, containing of the best voice-overs inviting slogans ever: “Come fly the friendly skies”. At its core, “Can’t Beat the Feeling” highlighted the special relationship consumers had with the imaginative cola brand. At the time, this was a very good question! It was a brilliant move by Pepsi to leverage the nebulousness of the message, until it was refined and, “Can’t Beat the Real Thing,” was appended to the end of the slogan, creating: “Can’t Beat the Feeling. Can’t Beat the Real Thing”. The five additional words filled the contextual gap and began resonating with consumers in a more meaningful way. Pepsi’s response was to throw buckets of cash at Michael Jackson, Madonna and a host of other celebrities—further cementing itself as the ‘cooler’ cola brand. Three decades have passed now and I continue to harken back to “Can’t Beat the Feeling”—its potency eternal. In the early 00s, brands were advised to get on board with social media—most balking at the idea. “Our brand doesn’t belong on Facebook!" Rah. Rah. Rah. Grobble. Grobble. Grobble, they went. Keep in mind this was way after brands were told they should have a website. And they balked at that idea too. If social is an extension of the brand what do we make of sound? In the digital age, noise and the sounds a brand (or products) emit when being interacted with is part of the brand experience. And it’s cool and fun. It’s more nuanced, but brands are starting to integrate their own unique sounds across all touch points. Sound can absolutely increase loyalty. So much time is spent on how a brand looks and where it shows up. Having a familiar sound seems to be just as significant. Every great brand aspires to achieve it, yet few take the disciplined steps to be courageous enough to experience it. Instead pride, ego and cowardice become the story. With the proper leadership your brands story can thrive creating a strong brand culture. If done properly your clients, partners and prospects become the ambassadors of your brand sharing your story creating significant growth. What is brand culture? It is the very DNA of a brands experience where employees live to brand values, solve problems, make decisions internally and deliver a branded experience eternally. What does this have to do with ROI return on investment? A brands value is directly determined by the experiences the customer has with the brand and the relationships you have with them. There are hidden values many decision makers may overlook when making many key important branding and marketing decisions. For example, is your brands message consistent throughout the entire customer journey beginning to end. Do our customers experience a joyful journey with our brand from beginning to end? Key: Are we creating relationships with our customers? Is our message consistent from our mission to the customer experience? Are we taking action from our surveys? Key: Are we recognizing and supporting our brand ambassadors? Do we even know who our brand ambassadors are? Do we offer our brand ambassadors something in exchange for their support? If not, why? Have we gone above and beyond what it takes to make it a pleasurable experience for our customer? What goes through the mind of someone who really wants to support a brand after a great experience? A short story illustrating how valuable it is to understand the meaning of this question. A recent personal experience with a brand uncovered the significant hidden value of a brand that only the wise will understand. They took action on the front lines from the initial contact to the delivered result to exceptional service. The Genius Bar at Apple Store Otay Ranch is an example of an extraordinary customer journey. It began with a serendipitous encounter with an exceptional human being by the name of Niko at the Genius Bar. We didn’t have an appointment and had a lot of ground to cover as an Apple family. Going above and beyond Niko quickly uncovered our needs and synched us as a family via Apple iCloud. He went above and beyond for evaluating all of our apps and making sure we were not being double billed. To him it was second nature, however to us it was rare to receive such exceptional care from many past experiences at other Apple Genius Bars. It is the small things like this that add up to significant value within a brand’s culture. Niko did two things. He added value to the service of Apple Store Otay Ranch and added value to the entire Apple brand. Every customer touch point is so important beginning to end. Great brands listen to your customers needs, take action and go out of their way to make sure the customer journey is joyful. In summary, the (ROI) return on investment is more than looking at numbers in a financial spreadsheet. A brand is an intangible asset. There are hidden values of your brand that can be increased with the right process, plan and leadership. The invisible ROI becomes apparent with a growing number of likes, loves, shares by your brands ambassadors. Listen to your audience and leverage your own customers journey and you will find growth. By all means. Make it a joyful one! Many business owners today don’t see the water right in front of their faces. They’re following the “school” of fish with their outdated marketing tactics, not able to see the bigger picture of what’s really happening. Consumers can spot your sales funnel. And they’re not buying. What worked just a year ago no longer works today. Spending thousands of dollars on a “launch” doesn’t work (we’re launching in every connection that we make). It’s easy to not see something when it’s everywhere and right in front of your face. The definition of Embodiment is “the representation or expression of something in a tangible or visible form.” Embodied Marketing is marketing that’s embodied in actions, beyond the GIF humor and clichéd quotes. It allows you to build your own unique sales funnel because it steps away from the one-size-fits-all approach to marketing. And it takes marketing one step further: It offers you the techniques, encouragement and feedback to guide your business into the right currents. Embodied Marketing rebels against the static of the online noise in a quiet, sincere way. It calls out the status quo so that you can start not just seeing the water, but feeling the water too. It’s a cover-up for not engaging more deeply. It doesn’t have meaning, purpose or soul. The failed luxury music festival, Fyre Festival, is an example of disembodiment in our culture today. Influencer Marketers were posting for the ego. The entire marketing strategy was focused on promotion without even knowing what was at the core of the festival. Instead of the luxury villas and gourmet meals for which festival attendees paid thousands of dollars, they received prepackaged sandwiches and FEMA tents as their accommodations. The Fyre Festival is an example of how the pursuit of fame puts a strain on our time, energy and resources. Embodied Marketing exudes a sense of meaning and stimulation; it adds a new dimension to who and what you are, through using the peaks and valleys of our human experience. Content marketing is the tactic. And consciousness is the strategy. In other words, content creates your reality — but your experiences need to be embodied first and foremost. Embodied Marketing creates marketing with more meaning. It allows you to become more mindful of your emotions and patterns and, in turn, use this internal GPS as “data” and guidance to create self-expression in your marketing. We’ve evolved past creating content that simply checks a box. We need marketing that communicates the essence of the change that we make. Embodied Marketing is how it’s done. Embodied marketing is all about reflection before you post anything. When your post is based on your perception, your audience will see their own reflection through you. Your perception causes greater awareness. And awareness is what summons your new reality, removing the mystery to your content strategy. For example, I bought many designer handbags in my materialist days. I still own and wear them even though that’s no longer my definition of “success.” The Louis Vuitton image (and the retail therapy that went along with it) did a perfect job of masking my emotions. At the time, it was comforting because I needed a way to be seen, and people saw my purse before they could see me. It gave me a persona so that I could appear in public in a way where I felt understood. This Louis Vuitton story is about piercing through the static of perception through personal transformation. There’s the before me (consumer) and the after me (conscious consumer). I’m sharing this example not just for my own sophisticated hedonism — but for the evolution of marketing. Companies can no longer walk around with masks (or designer purses) and hope to be seen. We need to cut to the core, to be more fully understood — and create from this place. 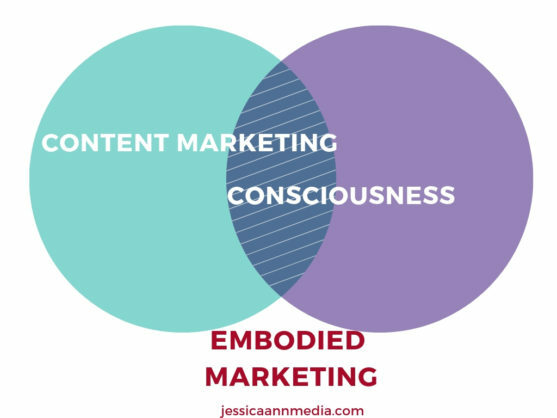 Embodied Marketing intersects consciousness and content marketing. Who is Embodied Marketing for? It’s for CMOs, digital marketers, entrepreneurs and transformative leaders who are seeking a more effective way to connect with their customers. Embodied Marketing is for you if you want to be proud of your content that you publish and distribute. Embodied Marketing will help you to create content that’s aligned and invigorating. It’s a co-creative content strategy with soul-aligned entrepreneurs and visionaries. I’ll be walking you through how to do this in a 7-day #embodiedmarketingchallenge. The feature is only available to beta users in the U.S. According to the TechCrunch article, users will soon be able to submit a request to gain access to the feature. View the on-demand archive of Cathy’s LinkedIn Live video. When LinkedIn Live is opened to a wider set of users, I plan to request access. In the meantime, here are my predictions about LinkedIn Live. October 2012: Celebrities (150 of them) were invited to publish on the platform. Users could “Follow” those celebrities. February 2014: LinkedIn opens its publishing platform, initially to 25,000 English language users. January 2015: The LinkedIn publishing platform is now available to 230 million members in all English-speaking countries. The roll-out of LinkedIn Live will follow a similar sequence, but compressed into a shorter timeframe. During the first half of the year, LinkedIn will cautiously monitor broadcast quality, viewer engagement and viewer feedback. We’ll see a large-scale opening of the feature in the third quarter of 2019. By year-end 2019, the feature will be available to all LinkedIn users in the U.S.
2. Initially, the LinkedIn algorithm will favor LinkedIn Live video. Last year, the LinkedIn Engineering team took us behind the scenes in a fascinating post on creator-side optimization. I predict that LinkedIn will further tweak the algorithm to favor creators’ LinkedIn Live videos. We’re seeing this today, anecdoctally, with on-demand video: users report that posts with an uploaded video receive higher engagement than those without one. I expect this to be a short-term bump to live video favorability. It will even out over the long term, as new formats or features are introduced to the platform. I published on LinkedIn Pulse and shared on-demand video in the early days of those services. My experience: super-high engagement in the early days, which plateaued and diminished over time, as more users jumped on the bandwagon. As an early adopter, you had an unfair advantage. But once everyone else is doing it, only the truly differentiated content wins. That will be the same with live video on LinkedIn. Talking head video is common because it’s easy and convenient. I use talking head video on LinkedIn a few times per month. When I share a piece of content, I record a short video, then post the video along with the link. But soon enough, others catch on. Before you know it, the newsfeed has more and more video, all with talking heads. We’ll see the same dynamic with LinkedIn Live: users will broadcast talking head video because it’s the easiest to do. 4. LinkedIn Live could encroach on webinar platform vendors. The TechCrunch article noted that LinkedIn Live will integrate with providers of live video streaming services. The article names Wirecast, Switcher Studio, Wowza Media Systems, Socialive and Brandlive as initial partners. Imagine what happens when LinkedIn Live is made available to LinkedIn Company Pages. 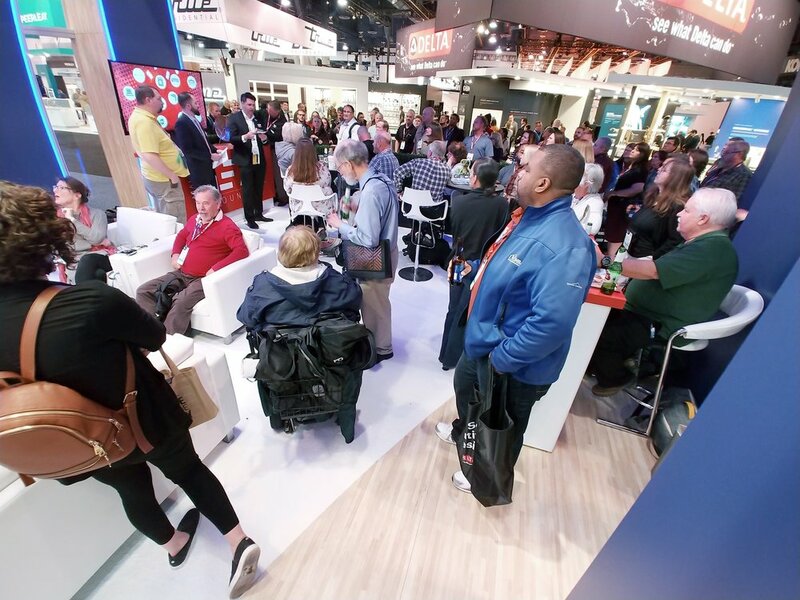 You take the world’s largest community of business professionals, then give companies a way to connect with those professionals via a turnkey, live video broadcasting platform. You don’t need lead capture forms — LinkedIn already knows who its users are. Add in a simple opt-in, however (e.g., “Check this box to schedule a demo of the product being demonstrated today”) and you have a turnkey video-webinar platform for B2B companies. 5. LinkedIn Live integrates with other products in the LinkedIn family. “Work With Us” ads. Image via LinkedIn. LinkedIn Talent Solutions has a product called “Work With Us” ads, which use display inventory across LinkedIn to target job seekers. Imagine if these ads could drive clicks to LinkedIn Live broadcasts from hiring companies. They could broadcast from a town hall meeting or feature a “day in the life,” with a company executive walking the halls of headquarters. These live broadcasts could appear in newsfeeds or even render from the ad unit itself. I think it’s a fantastic, soft-touch way for brands to gain mindshare with prospective employees. And what about LinkedIn Learning, formerly known as Lynda.com? LinkedIn Live could be used to incorporate a live teaching element into the LinkedIn Learning curriculum. Since LinkedIn Live and LinkedIn Learning are distinct user experiences, the initial use case is for LinkedIn Live could be to drive awareness and subscriptions of LinkedIn Learning. High five 🙌 for Live. I’ll be on the lookout for LinkedIn Live videos in my feed. Related Post: 5 Reasons You Need to Be More Active on LinkedIn. I manage a content marketing meetup in the Bay Area, so one idea is to use LinkedIn Live to broadcast some of our presentations. What are your thoughts about LinkedIn Live and how would you use it if given the opportunity? Share your thoughts in the comments section below. Thanks for reading! Want to achieve marketing greatness this year? Focus on how to own the 'near me' search. It has literally become a default term for people looking for just about anything. Try it with your product, category or service. What happens? For most companies, third parties like Yelp and Trip Advisor hijack the search or are at least a significant part of the page one search results. This is quite simply the easiest and most effective marketing for almost any retailer, franchise, or brand to win and help their shoppers along their journey with content versus spamming them with ads. Obviously, this is not an either/or strategy. Local ads work well and are very effective when used with respect for your shopper, but any comprehensive digital strategy now has to go beyond just ads. Locally created content, however, is the gift that keeps on giving. The best way to own the 'near me' search is to feed the search platforms with rich, relevant, and recent media across many platforms. Search platforms are actively seeking to deliver this content to better serve users, and even looking for help. While researching this article, I searched for Southern Tide near me, as it's one of my favorite apparel brands. It has a relatively new store not far from where I live, and naturally Google was seeking to learn more about it. In this case, Google is seeking human help because its crawlers can't find enough information. Imagine what would happen if there was a variety of content created by Southern Tide at the store level that Google could integrate into its results. I answered several questions, many of which were subjective, but with more content Google could likely figure it out on its own. As shoppers expand beyond search engines, and look for content across a variety of platforms, expansion of content footprints can only serve to enhance findability. Digital ads have reached and surpassed the point of saturation. No ad-driven digital platform is immune from the onslaught of ads and 'smart' retargeting, and while volume is higher than ever, efficiency is falling like a rock. As shopping simplicity has become the key competitive advantage for retail... shoppers are also seeking to simplify their media. They want helpful content along their path no matter where it might exist. Local content is the fuel that powers shopper journeys at all stages, helping to answer their questions at key points. Local content will become even more critical with the rise of voice search. Like any other form of search, voice depends on the information it is provided. Given that voice search will seek to be as useful as possible, voice algorithms will seek to deliver the most useful and relevant results possible. This means like any other search, voice agents will use existing content to make custom recommendations for users. Content will be critical to driving results, especially localized content that affects 'near me' results. Pizza 'near me' and other related searches via Siri, return similar results to Google for the same location as they use similar data to populate. Notice how Siri and Google come to the same conclusion for the same search, with Siri narrowing the initial list to the top result. The algorithms will differ somewhat but the combination of reviews, location, and usage data, and content, help prime the pump for results. Key takeaway: CREATE MORE CONTENT. In 2019, search of all kinds will increasingly be affected by content, especially the local variety. Locally created content is the ideal complement to paid search and advertising efforts to win the final 'near me' outcome. I’ve written in the past about why you need to enlist employees as advocates for your company. The good news is most B2B marketers now get the importance of putting an employee advocacy program in place. Okay, maybe I’m exaggerating a bit but you get the point. No wonder only a small percentage of a company’s workforce typically participates on a regular basis. If you’re solely focused on what employees can do for you, rather than what you can do for employees, you’ll never unlock the full potential of employee advocacy. If you’re serious about turning the staff into brand champions (which you should be) then invest in a platform that can help automate advocacy processes and measure impact. These days there are lots of vendors for almost any budget to choose from. For instance, Dynamic Signal and Bambu (by Sprout Social) make it super easy to share content, track activity levels and social media impact, and even provide gamification elements as further incentive to participate. For a broader look at vendors in the space, have a look at the G2 Crowd Grid for Brand Advocacy. According to G2 Crowd, “A brand advocate is a customer or employee of a business who pro-actively shares it via mobile, email, or social media with or without incentive.” In other words, employee advocacy is a subset of brand advocacy. When evaluating vendors, look for those with a feature set tailored to your employee advocacy needs. It’s no secret how the company benefits when the workforce promotes brand content. But why should employees actively join in? That’s the question to focus on when rolling out your employee advocacy program. Consider educating everyone on the career benefits of building their own “professional brand” and social media audience, plus how sharing content about your company and industry can help with that. Think about ways to recognize top employee advocates: acknowledge them at company meetings, invite them to represent the company at industry events, hook them up with your PR team and give them opportunities to provide quotes in industry publications… and, of course, a bit of ‘extra credit’ come performance review time never hurts! Just remember, the more reasons you can give for how an advocacy program helps employees the more likely they’ll participate! Yes, develop and curate high-quality brand and industry content that employees will want to promote. But don’t stop there. Ask folks what content topics they and others in their department already like to share… and empower them to curate this content for the employee advocacy team. When employees see this “two way street,” they’ll feel rewarded, which makes them more likely to curate more content going forward. In addition, employees have a close connection to your customers and industry. They may uncover nuggets of content that you otherwise would have missed. Give employees the opportunity to find some content that has nothing to do with your company or industry. For example, job-related, sports, and holiday content always gets employees sharing up a storm! Why should employee advocacy be limited to sharing content? After all, there are many ways folks can help spread the good word and build the company’s brand. Maybe that’s writing for the corporate blog, answering questions on Quora, being a domain expert in Linkedin and Facebook groups, or evangelizing at industry events and meetups. Simply put, employees should be able to advocate in the ways they want to. So why not ask them how they’d like to help out? Rallying employees to become advocates isn’t a one-time thing – it takes an ongoing effort to communicate the importance of advocacy, and provide training to keep everybody engaged with the program. Employees should be recognized as advocacy rock stars within the different parts of the organization. The CMO, CEO, and other C-Suite executives need to actively support, invest in and participate in the program. Simply put, advocacy must become part of the company culture! Where are you in the employee advocacy journey? What are you doing to make employee advocacy successful at your company? Let us know in the comments section below. Thanks for reading! Note: This post was originally published on November 26, 2017 and updated on January 21, 2019. 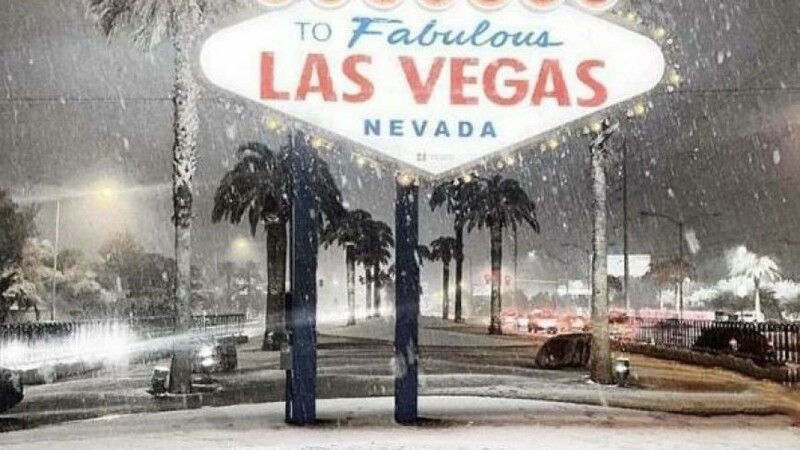 This morning John Lewis & Partners released their 2019 Christmas Advert. In the world of marketing this has become a wait-for-it moment every year, when the big brands compete on advertising creativity. This year, John Lewis switched direction and whilst they still focused on their 'thoughtful giving' thread, it was the way they distributed it that made me love it even more. I've always admired their ethical approach to business. Their partners (employees) have a say in the running of the business and receive a share of annual profits. So, when they decided to include partners (employees) as part of their advertising release plan this year, my ears perked up. Historically their seasonal advert is first broadcast during prime-time TV viewing hours. Today was different. They first released it to their partners at 6am so they could share with the friends and networks on social media before it went live via John Lewis's own digital channels and shops at 8am. What we’ve found over the past 10 years is that this kind of advertising, which connects with people on an emotional level, is what really is most powerful at Christmas. Employees need to be emotionally connected to your company if you want them to distribute brand content. John Lewis nailed it. Advertising creative needs to emotionally connect to the audience (whether B2B or B2C) and not just sell product. John Lewis nailed it again. Enabling employees to have priority access to such a treasured asset (the Christmas advert) says a lot about trust, partnership and value. John Lewis nailed it yet again. For me, this is employee advocacy (or should I say partner advocacy) at its very best. I guess the only way I would further improve it is if employees were in the actual advert itself. I haven't seen the backstory behind this video yet but I wouldn't be at all surprised if they had that covered to. Want to see the ad? Within the past several years, companies have adopted digital employee advocacy as a way to harness the power of their workforce for low-cost, high-impact marketing, sales and recruiting. Let’s face it, if you have even a dozen or more employees, it can be a powerfully compelling force for outreach. If you have hundreds of thousands of employees bought into one of the many digital platforms like Social Chorus, Everyone Social, Dynamic Signal or others, your brand’s reach can potentially be no less than extraordinary. But if you are an employee at one of these companies, you may be questioning whether your quest to be loud and proud for your company has come into direct conflict with your quest to build and manage your own personal brand. Let’s stop for a moment and consider a couple of premises: your social platforms as your personal brand real estate and your social communities as your personal brand currency. When you first tweeted in 2009, you began to piece together a following that may predate your time at your current job. Those LinkedIn contacts include your classmates from your alma mater and relationships that span the gamut of your professional existence. Your Facebook page is a virtual backyard barbecue that includes in some cases, people with whom you even went to elementary school. Are they really that excited to hear about your company? Now, consider again if you have allowed the employee advocacy movement to come into conflict, or worse, overtake your personal brand real estate and/or currency. It is very easy to do. If you work for a company that you are proud of, it doesn’t take much to inundate your social networks with your company news and never think twice about it. That digital advocacy platform is just the convenient and gentle nudge you need to deliver your company’s expectations. And after all, it is opt-in, it’s pretty and user friendly and takes little to no thought to share. No one is forcing your to post. Right? Why Social Employee Advocacy? Why Now? Let us also consider the other popular method that brands use to hopscotch the algorithm predicament: influencer marketing. According to recent research, brands are spending billions of dollars with individuals to share their messages, products and services with their communities, less likely reached by companies because they lack the strength of niche influence that celebrities and even micro influencers wield. Ted Rubin, CMO, Photophy and Emcee/Host Of Brand Innovators Summits says digital employee advocacy, if executed correctly by the brand can work for the company and the employee. Why Personal Branding? Why Now? And this isn’t selfish or self promotion, despite what some may believe. This is career survival in the digital age. 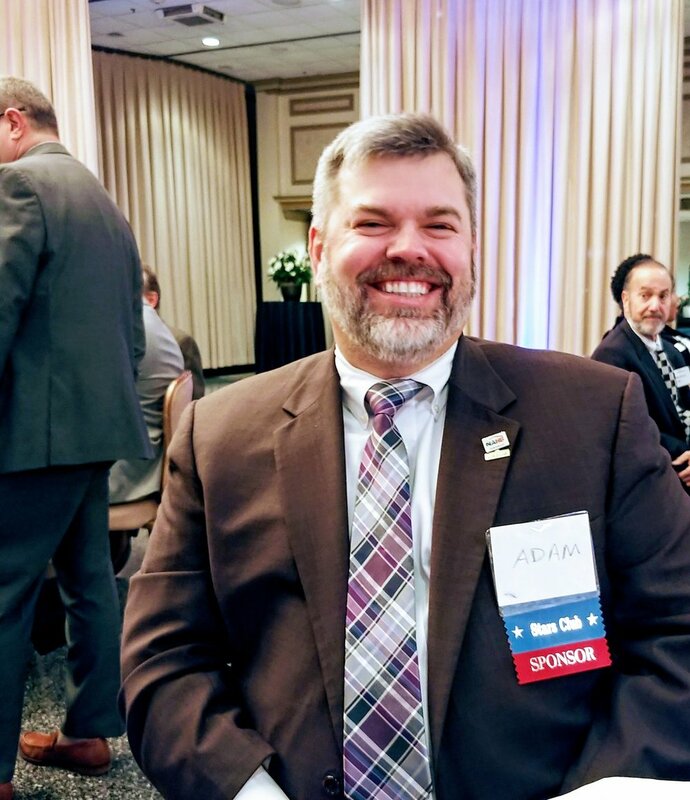 John G. Graham, Jr., employer brand and digital evangelist suggests employee advocacy and personal branding can and should co-exist, but employee advocacy extends past social platforms through speaking opportunities and other spokesperson opportunities. He travels the world sharing how it should work. So can this assumption that employees’ social platforms are fair game for a company hurt your chances of actually leveraging what is actually yours for your career advantage? Does it create a culture of expectation from peers and even superiors that if you aren’t sharing company news, you are not all in for the company? Can it cause colleagues or bosses to criticize posts that are solely about your career interests, thoughts and aspirations? Do these company initiatives create unreal expectations for their employees to leverage their social capital for nothing in return? Graham says that employees can and should take control of their social handles, social equity, social media currency, communities and networks and that can also benefit your company. He says employer brands should provide shareable digital content that will add value to the employee and their personal networks. Otherwise, companies risk jeopardizing the very trust their employees have established with their own social networks. So now that you know you are one of your company’s most valued influencers, it is time to act like it. Here are three steps that I’ve learned since 2007 when most of these social platforms launched, since running a small business that leveraged its employees as ambassadors online and even leveraging employee advocacy as part of communications plans for some familiar brands. They might help you navigate this brave new world of corporate employee advocacy while managing and growing your personal brand in the digital space. Tip the scales in your own favor. Your company is great. They are doing wonderful things in the community. Awesome. They also have a marketing spend that dwarfs your own. In fact, you likely don’t have one. Engage the 80:20 rule if you just can’t help sharing about your company, or feel the pressure to from colleagues, dare I say bosses. That 80% is for you. Spend time crafting a deliberate approach to delivering rich and useful content for your community that will benefit them. If a social share from your company aligns with your passions and brand and provided useful content, for example tips and advice on career and leadership, share it; but do not alienate your community members who’d rather hear more about what they can relate to…most often, that is your ideas and useful shares that have meaning to you and by extension, them. Have an informed point of view. This doesn’t mean the opinionated posts that aren’t grounded in data that have become the norm on Facebook. This is about your informed, research-driven and seasoned worldview when it comes to your industry and your business. Focus your content and shares on this sweetspot. Again, if company content aligns then share that too, but in moderation. Guard your social real estate. It is precious. Don’t just give it away. Understand that it is the one place you have to add your unique value, tell your story, and tell it well. Have a deliberate approach that focuses on no more than three broad topic areas that align with your brand and execute against it methodically. Spend some time thinking about your purpose, and it will be apparent to your networks, recruiters and prospects. Your job is a part of that story, but be careful not to make it the headline.